Many centuries of evolution produced today’s domestic dog breeds from their common wolf ancestor, over 15,000 years ago, when our ancient relatives first created semi-permanent settlements local wolves in turn moved into the areas surrounding the encampments to scavenge for food, only the smallest and tamest of these “self-domesticated” wolves survived, and within a very short time the modified wolf-dog had emerged. The early human settlers, recognizing potential uses for these creatures, began capturing young cubs and raising them to protect their campsites and assist in hunting. By about 6000 years ago, selective breeding by humans had produced many different dog breeds with enhanced qualities for specific roles, including guarding, load-bearing, herding and hunting. More recently, only in the last 1000 years, people have amassed sufficient wealth to hunt purely for pleasure, leading to the development of the sporting dog. The Labrador Retriever is a supreme example of this most advanced branch of canines, for it performs in an unnatural way – adeptly finding wounded prey but rather than instinctively eating it, carefully bringing the game back to its waiting master. The Labrador’s specific development, first to assist fishermen and later as a gundog, has enhanced its eagerness to serve its owner and work co-operatively with other dogs. Yet even this most gentle, sweet-tempered breed has not lost its innate canine instincts, which may be expressed through natural guarding or defence. The modern Labrador Retriever was developed expressly as a sporting breed – to work to the gun, retrieving game for huntsmen, its exceptional abilities have, however, led to a variety of other roles. 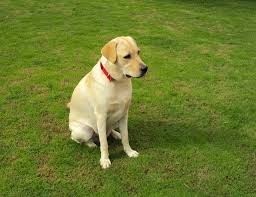 Labradors are among the finest scent-detecting dogs, and in the detection of drugs and explosives. The Labrador’s affable character and superb responsiveness to training have also made it an exemplary assistant for the disabled – in fact, it is the world’s most successful guide dog for the blind. But for many devotes of the breed, the Labrador Retriever’s most outstanding characteristic is its happy, affectionate nature and overwhelming dedication to its owner. It is a perfect companion for both adults and children, and its well-deserved international popularity continues to grow with each passing year.